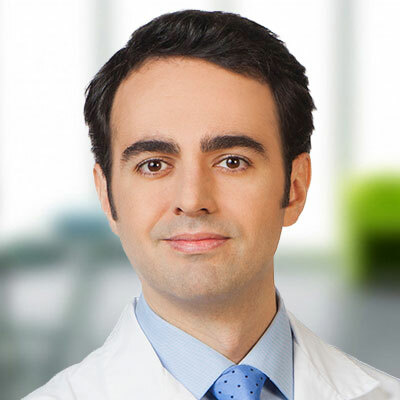 Home/Investigators and Research Centers/Investigators/Carlos Iglesias, M.D., Ph.D.
Dr. Carlos Iglesias, MD is an attending physician at IVI Madrid , where he serves as lead physician and coordinates the medical unit of egg donation at IVI Madrid. He graduated from Salamanca University School of Medicine in 2007 and received a degree of advanced studies in neuroscience at Salamanca Unviersity in 2009. He received his obstetrics and gynaecology board certification from Hospital La Paz- Autonoma University –Madrid in 2012. The same year he became started working with IVI Madrid, where he also became Medical Director for oocyte donation program. Dr. Iglesias is a member of the Spanish College of Obstetrician and Gynecologists (SEGO) and the Spanish Reproductive Society (SEF), and lectures at Universidad Rey Juan Carlos, Madrid. Very low anti-müllerian hormone concentrations are not an independent predictor of embryo quality and pregnancy rate. Reprod Biomed Online, 37(1):113-119, 2018. Dual Triggering with Gonadotropin-Releasing Hormone Agonist and Standard Dose Human Chorionic Gonadotropin in Patients with a high Immature Oocyte Rate. Reproductive Sciences (SAGE), 1-5, 2016. Undifferentiated round cell sarcoma of the broad ligament. Isoinmunización grave anti-D en una gestación gemelar.